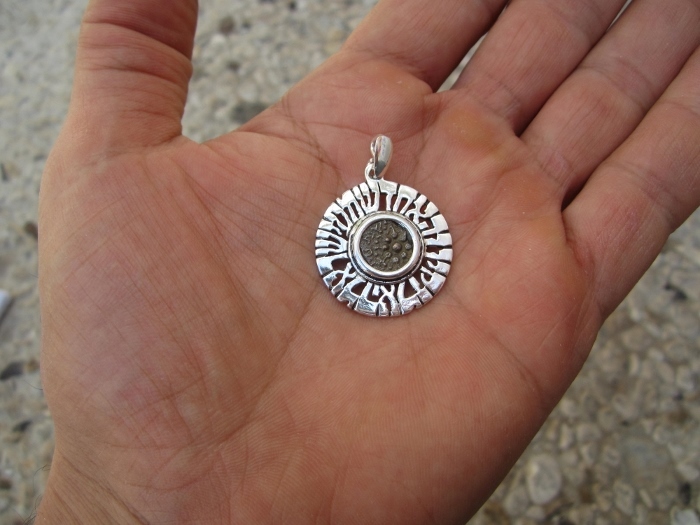 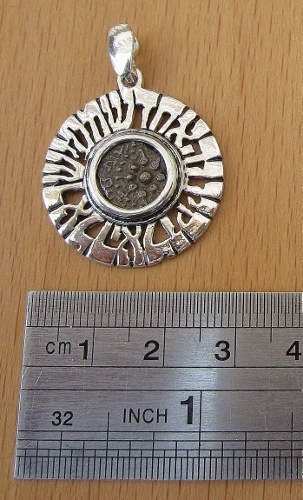 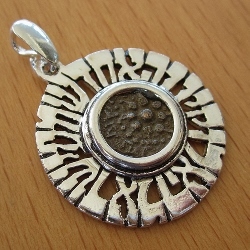 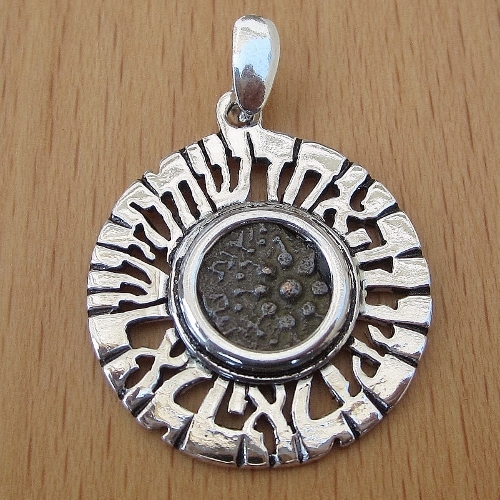 Sterling silver pendant with the inscription “Shema Israel, Eloheinu Echad” in Hebrew which means 'Hear O Israel, the Lord our God, the Lord is one' - Deuteronomy 6:4. 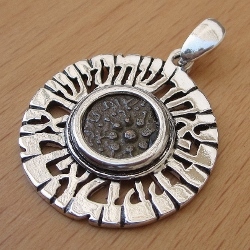 These are the first words of what is considered to be the most important Jewish prayer which is recited twice daily every morning and evening. 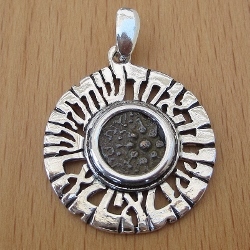 In the book of Deuteronomy 6:4-9, God commands that the Shema Israel be enclosed in the mezuzah and be worn close to the head and heart.